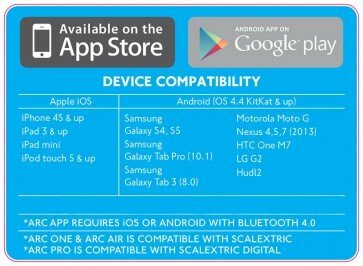 Scalextric ARC ONE app race control. 1 x Scalextric ARC ONE powerbase & pit straight. 1 x Smart device cradle. Upgrade your existing Scalextric set to ARC ONE! Upgrade your existing analogue Scalextric Set to the new ARC ONE system with the ARC ONE Powerbase, and unlock the power of the revolutionary ARC ONE app. 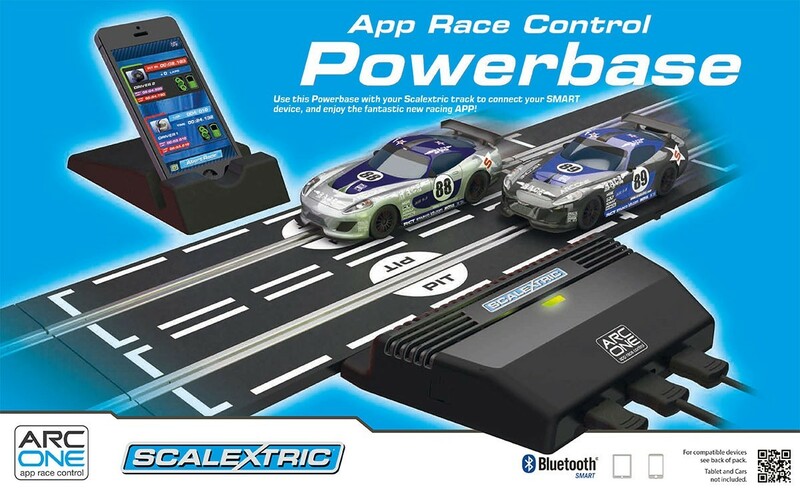 Scalextric ARC ONE is a revolutionary slot car system that allows you to wirelessly create and manage races with a handheld smart device*, such as a smartphone or tablet. 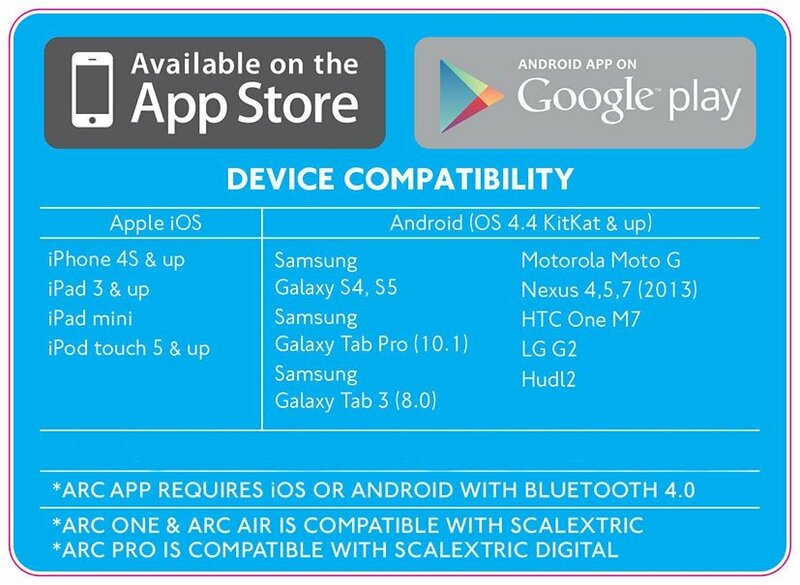 Download the ARC app (free), then connect your device via Bluetooth to the ARC Powerbase, unlocking unique features and control of your races. Personalise your race by selecting features such as race type, driver names and number of laps. Customise and save your race settings and car setup, before you head out on the track to test your skills and challenge your opponent. * Tablet/smartphone and cars not included. 1 x Scalextric ARC One Powerbase & Pit Box Straight.